A video work by Zeno van den Broek has been selected to screen at the International Film Festival Rotterdam. The festival marks the world premiere of Paranon, van den Broek’s new 15 minute work, which has also been shortlisted for the Ammodo Tiger Shorts Awards. Paranon is a 2019 work which juxtaposes fundamental elements of sound and image. The work comprises two interacting compositions: a sound composition and a visual composition. The sound element was produced by manipulating canon structures: canon structures are a compositional technique which creates imitations of sound. The sound is input as sine waves, which in turn are imitated by the canon structures, producing surprising sonic effects. Van den Broek used custom programmed sine wave generators to generate musical arrangements; the generators make it possible to precisely manipulate parameters such interference and phase shifting. The sound composition is accompanied by visuals - evolving lines, grids and cubes whose visual parameters develop along with the sonic parameters. Using these technique of wave production and digital imitation produces intriguing insights into the movement, form and complex behaviour of sound. 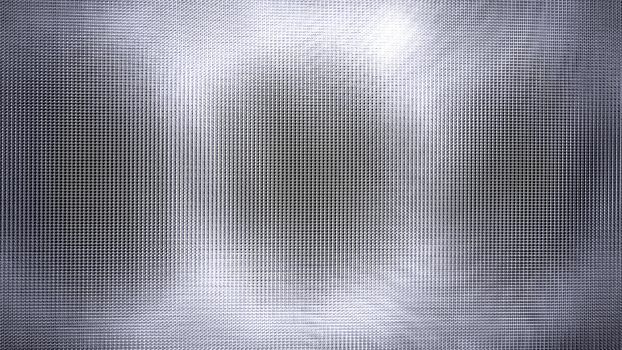 Alongside the visual compositions, the sounds explore the spatiality and materiality of sound waves and the dimensions to be found in the flat surface of a screen. The IFFR, which runs from 23 January to 3 February, celebrates work at the intersection of art and film. Each year the festival selects the best new feature length and short films and presents them in curated screenings. Paranon will be presented as part of the IFFR Short Film program, which showcases new moving image and experimental works with a duration less than 15 minutes: Paranon is a nominee for the prestigious Ammodo Tiger Shorts Awards and is part of the Tiger Shorts program. Three works from the shortlist will be selected to receive an award and €5,000. Also nominated for an award are Jane & Louise Wilson, whose 2018 work Suspended Island, premieres as part of the Bright Future Short program. As part of the Paranon project, Zeno van den Broek has released an album released as a CD accompanied by a limited edition A5 artwork. The album is available from the artist's website. There will be more updates on Zeno van den Broek in the coming weeks: follow the artist on Sedition to receive exclusive updates. IFFF takes place at Karel Doormanstraat 278b, 3012 GP Rotterdam, The Netherlands from 23 January to 3 February.